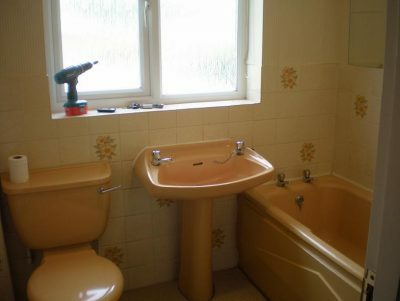 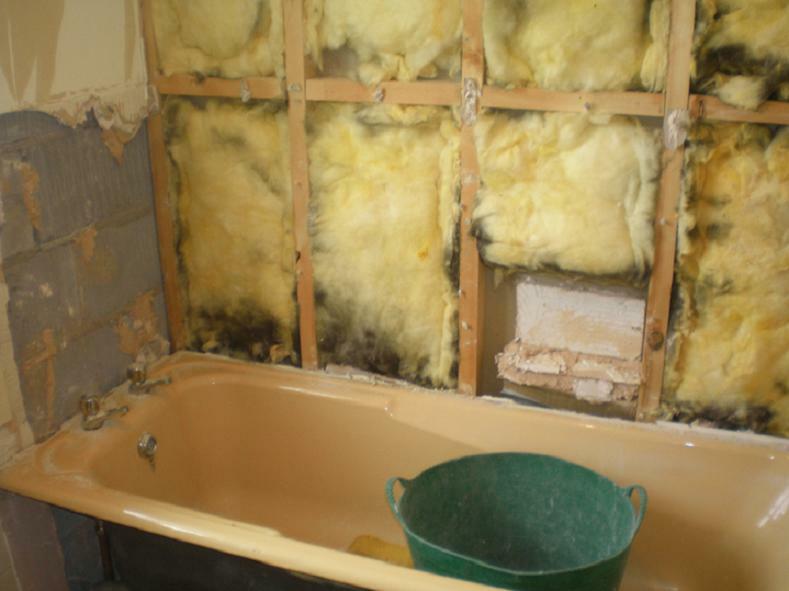 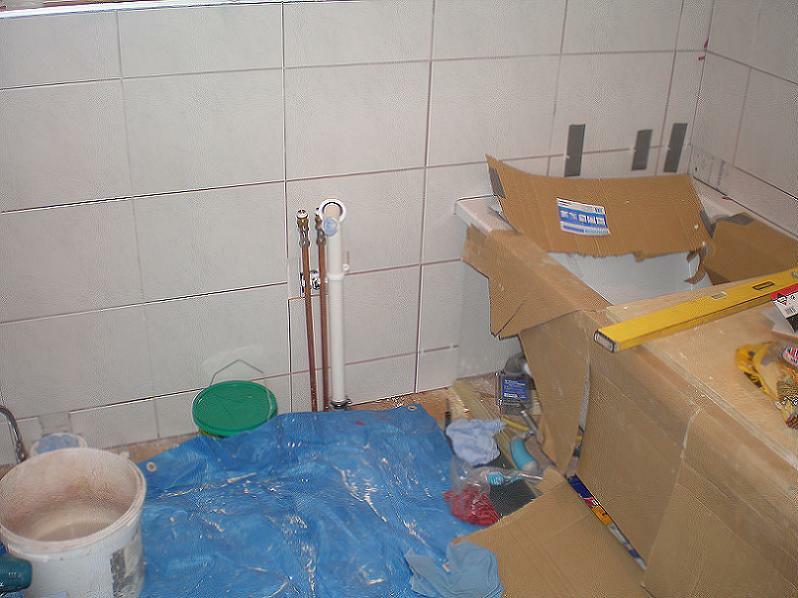 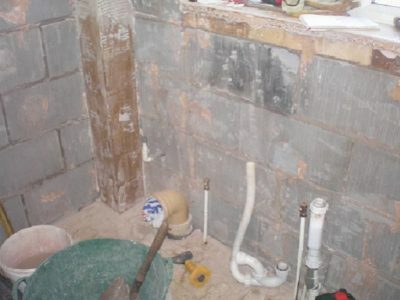 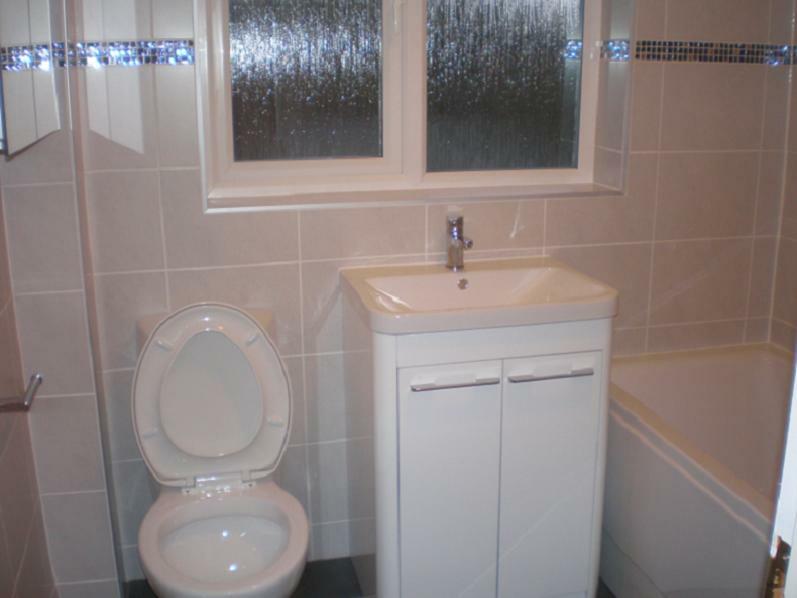 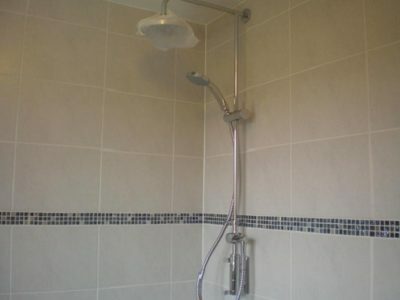 This bathroom makeover began with the removal of the old suite, wall tiles etc. 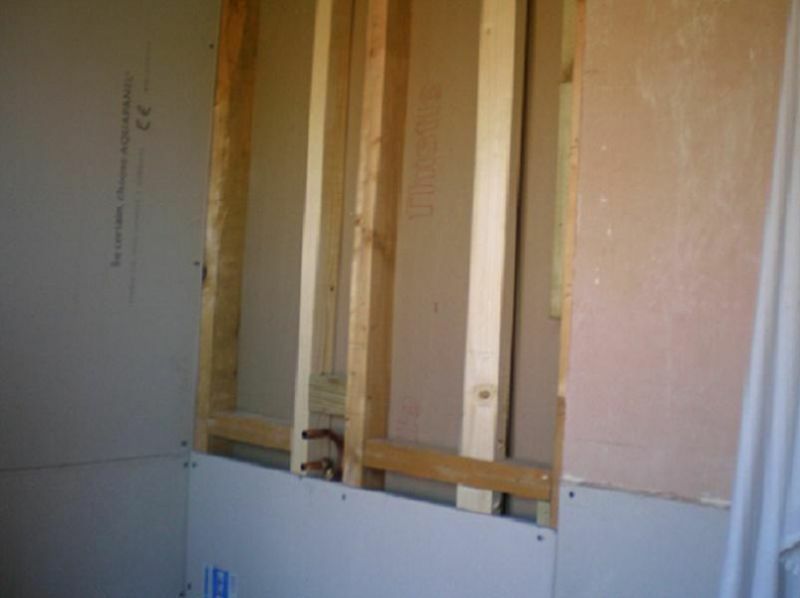 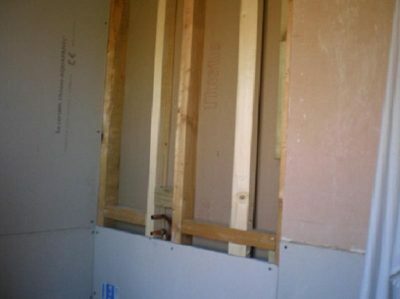 As the customers had requested a thermostatic shower fitting over the bath,the adjacent plasterboard wall panels were removed and replaced with a waterproof cement board.The cement board makes an excellent surface to tile onto. 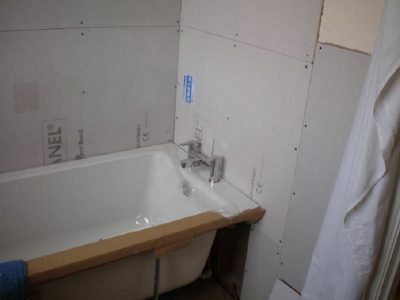 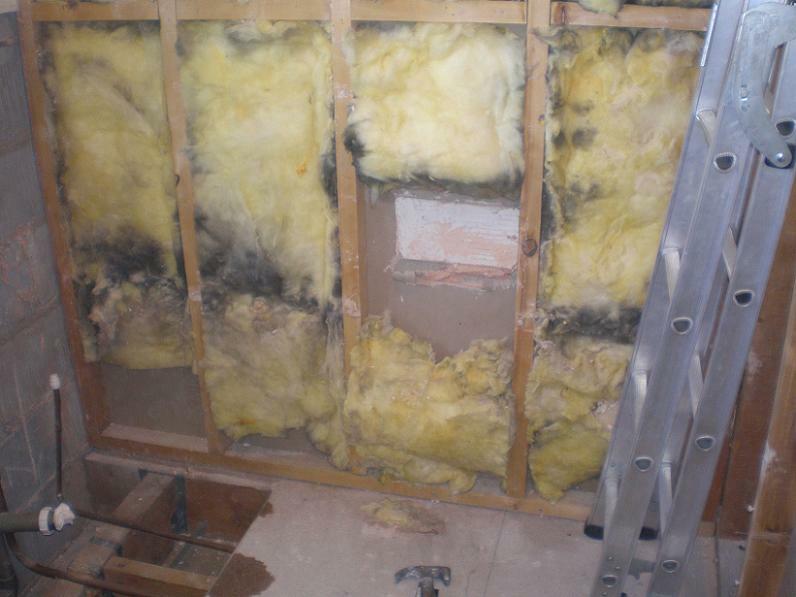 As the chipboard flooring was unsuitable to lay floor tiles onto, that was also removed and replaced with18mm plywood. 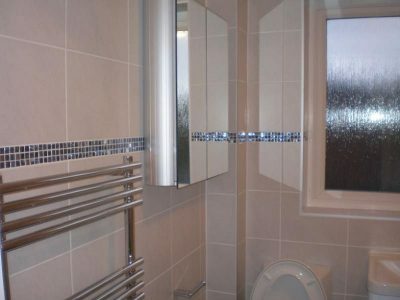 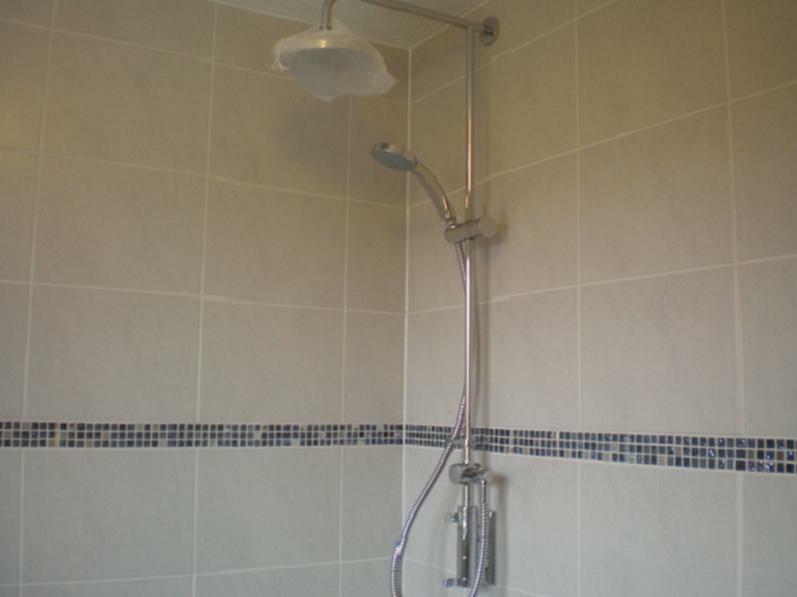 The small single panel radiator was replaced with a much larger chrome towel ladder type radiator.The new suite was installed and pipework added to supply the new shower. 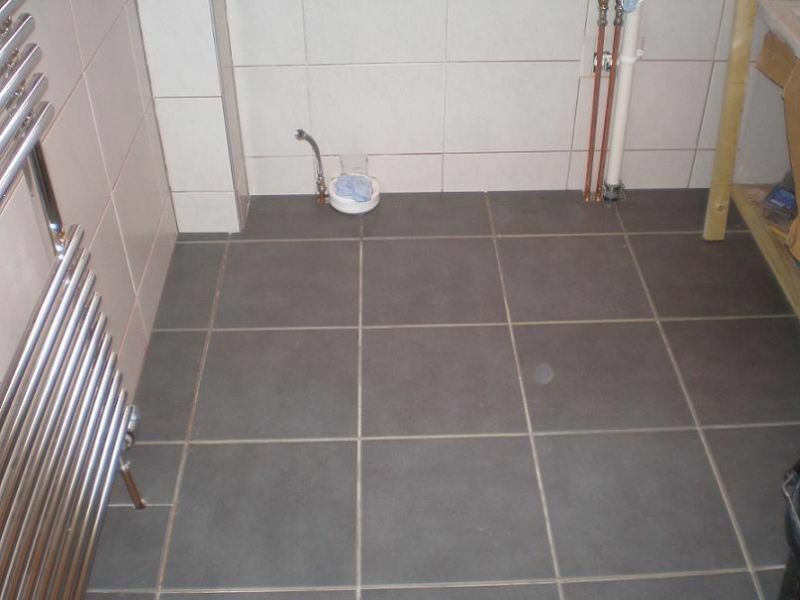 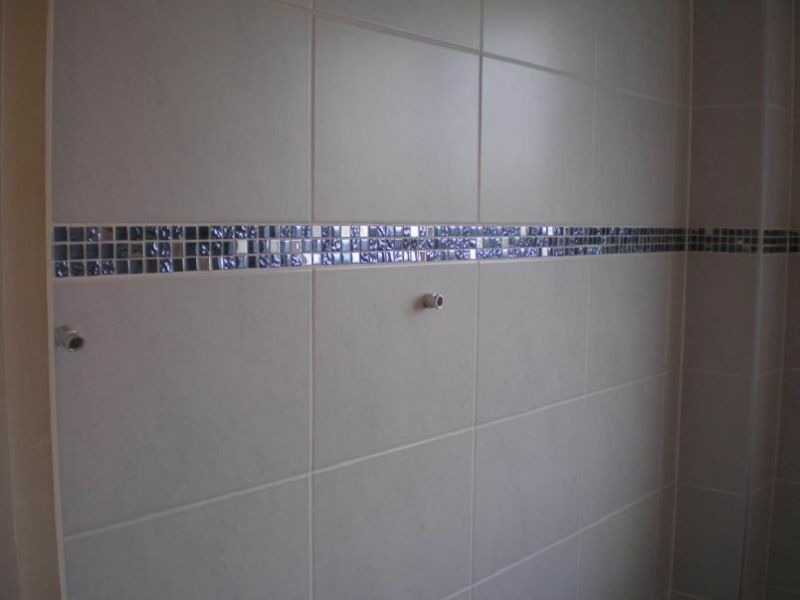 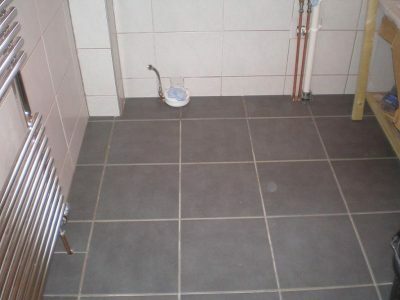 The wall and floor tiling was completed, including installation of the mosaic border.The makeover was completed with the installation of all the customers’ chosen accessories.